The test results simply prove our purity through numbers and provides transparency to our consumers. Nurture Me™ a new high potency Omega-3 DHA supplement, by Anpas Global recently received the “Seal of Approval” from independent third-party testing laboratory Pace Analytical. The Seal of Approval means the product meets or exceeds the highest industrial standards in three areas: oil quality and freshness, potency and concentration, and environmental contaminant testing. A consumer-facing report was created to provide the results of the test analysis in an easy to read format. This Consumer Report will be available for every batch of Nurture Me™. The report confirms Nurture Me™ is compliant with the Global Organization of EPA and DHA Omega-3 fatty acids (GOED) Omega-3 monograph testing requirements. The report also indicates that the concentrations of harmful environmental contaminants (PCBs, dioxin/furans, and heavy metals) were below international standards. Pace Analytical is a full service environmental testing laboratory serving the evolving global environmental contaminant testing market for the past 35 years. Pace tests marine-based food and supplement products on a batch/lot-specific basis using the most stringent international testing standards to ensure products meet the highest quality compliance testing for Omega-3 fatty acids. As members of GOED, they follow its voluntary monograph to ensure that the tested products meet/exceed the highest quality standards established worldwide. The results show that Nurture MeTM met and exceeded all requirements for safety, quality, purity and proper labeling regulations for Omega-3 supplements. The Nurture Me™ Consumer Test Report can be found on their website (http://www.premiumomega.com/nurtureme.php) and also on Amazon. 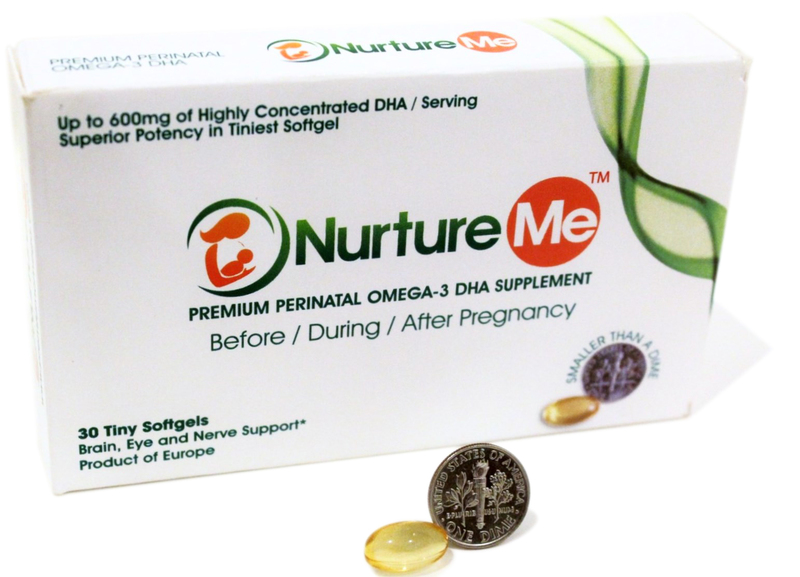 “Smaller than a Dime,” Nurture Me™ by Anpas Global is a superior potency Omega3 DHA softgel, a vital nutrient for all women between 18 to 55 years. Each tiny Nurture Me™ softgel delivers 300 mg of Omega 3 DHA, among the highest compared to other Omega 3 DHA products. Each gel is individually wrapped in pharma-grade blister strips to protect the product’s high quality and prevent it from oxidation. U.S. women only get 40% of the daily recommended dietary intake of Omega-3s they need to support brain health, eyes, mood, nerves and joints. The biggest objection that most women have against consuming Omega-3s/ Fish Oil supplements is the pill size and fishy odor. Nurture Me™ with its high quality and small size addresses both these issues effectively.